During the working dinner with Chilean President Sebastián Piñera organised for the conference participants, Joksimović expressed her gratitude for the fact that Chile had not recognised the independence of so-called Kosovo and for Chile’s principled support to Serbia regarding Kosovo and Metohija in all important multilateral forums. On behalf of President Aleksandar Vučić, she reiterated an open invitation to President Sebastián Piñera to visit Serbia, for which Piñera expressed gratitude and sent his regards to President Vučić. 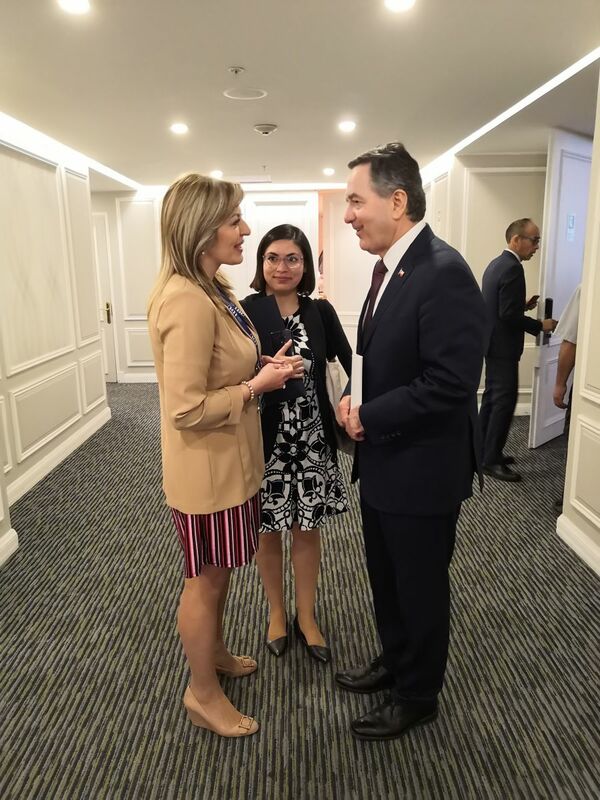 On the margins of the conference, the Minister met with Chilean Minister of Foreign Affairs Roberto Ampuero, where they emphasised the importance of cooperation between Serbia and Chile in other areas of mutual interest, as well. Readiness to consider the opening of Serbia’s diplomatic and consular representation in Chile in the following period was also noted, as well as the fact there is an integrated and successful Serbian community in Chile.